We liked that Sharon was honest and professional at all times. She really knows her stuff and we will totally refer he to anyone we know who is looking to buy or sell a home. Sharon Grant should really be called "Sharon Great"! Sharon has been my realtor for four deals now. She knows the market! Sharon is very informative, friendly, punctual, and makes you feel comfortable. She didn't pressure us at all. Sharon was very helpful and put in long hours to satisfy our needs. She went well behond her duties to help us sell and buy! Sharon, as always, is great! If we move back into the area we will be giving her a call. Sharon is very personable; very honest and pleasant to deal with. Sharon was very insightful & informative about all of our questions & concerns. She is extremely personable and easy to talk to . We felt we were in very good hands with her and we were very well looked after! Thanks Sharon! I liked working with Sharon because of her real estate expertise and professionalism. This is the second time around using Sharon as a realtor. Got lots of special attention. Sharon is amazing! Our house was listed and sold within two weeks. We could not be happier about our real estate experience. Sharon was able to quickly adapt and recommend new housing options as my idea of the perfect home changed. Sharon kept me grounded when I was included to panic! Sharon was very helpful in all aspects of buying. She showed us all the houses that were in our range and met our needs. Sharon's mannerism and enthusiasm were refreshing. She's very honest. Sharon knew what I wanted, needed, and found the perfect home for me. Sharon is very personable and always went out of her way to get us into a new home. 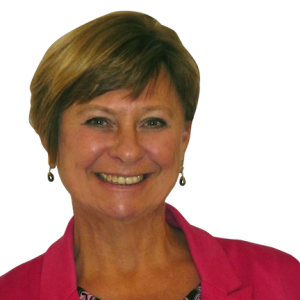 Sharon knows her stuff when it comes to real estate and is very professional and friendly. Sharon was very very very patient with me! !